A destination along a long-distance trail. Whether on a rail trail, water trail or hiking trail - trail users can venture off the trail to enjoy the scenery, services and heritage of the nearby community with its own character and charm. 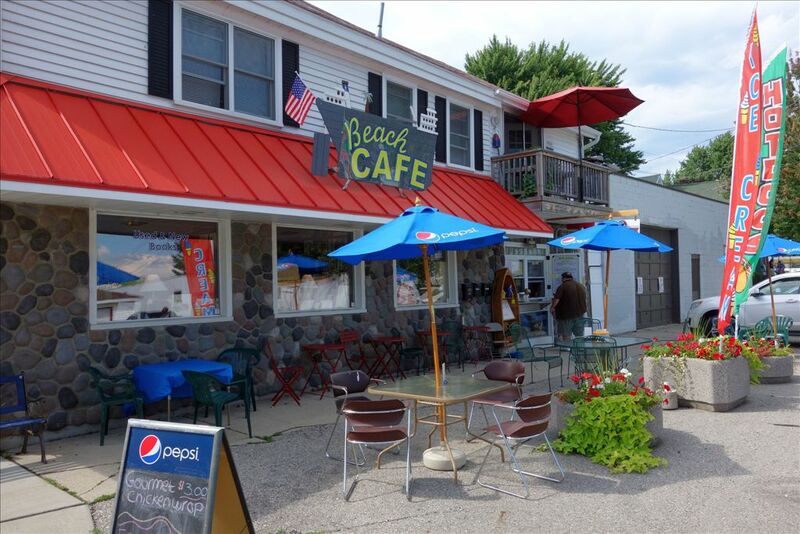 It is a safe place where both town residents and trail users can walk, find goods and services they need, and easily access both trail and town by foot or vehicle. In such a town, the trail is an integral and important part of the community. 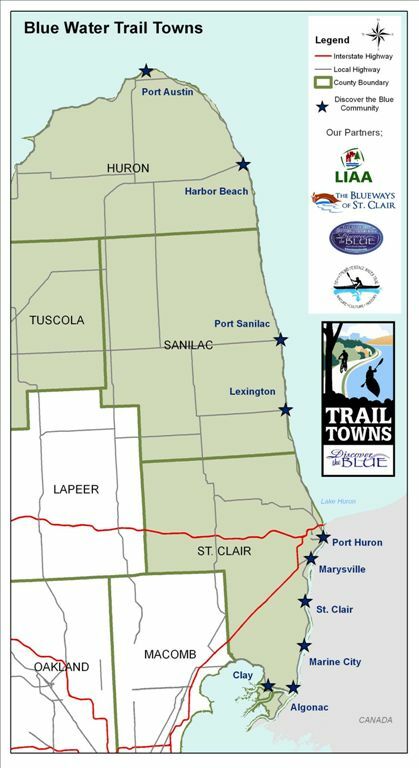 With a Michigan Coastal Zone Management Grant, several Discover the Blue Communities were assessed in 2014 for the Trail Towns Program. The Blue Water Trail Towns Master Plan was completed and is posted, below. There is also a link to each town's recommendations for creating the Trail Town atmosphere.